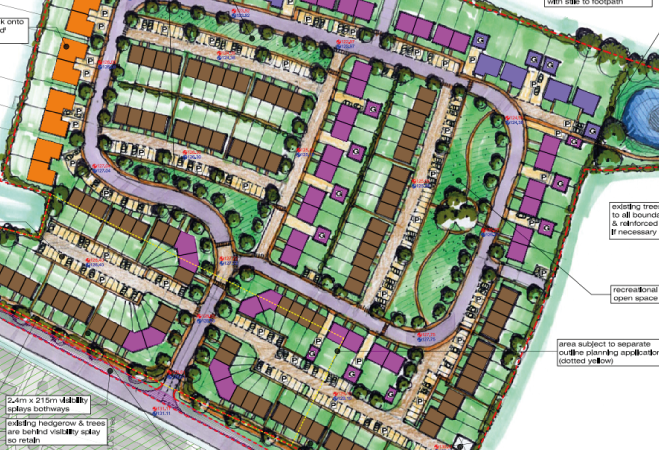 TPS was appointed to provide development planning support to POINTCLOUD Consulting, in relation to an outline planning application for 151 dwellings at Midsomer Norton, Somerset. In support of the planning application our team prepared a Transport Assessment, Travel Plan and preliminary site access design. Our Transport Assessment considered the highways impact of the development, including an assessment of the likely traffic generation and the anticipated distribution and assignment of peak hour traffic flows on to the local highway network; the scope of assessment was agreed though discussion with the local highway authority in advance of the preparation of the assessment. Our report successfully demonstrated that the uplift in traffic, because of the proposals, would not be material in the context of the current operation of the majority of junctions included in the assessments and, as such, the anticipated development flows could be accommodated without a severe impact. Our residential Travel Plan outlined a strategy to be implemented by the developer to minimise the highways impact of the proposals; specifically, it aimed to reduce the need to own / use a car and considered ways in which the developer could support residents to make informed travel choices. It also identified mechanisms which the developer will use to monitor the impact of these activities against trip generation targets.